Do You Write as a way to Market Your Business? I’d love to help you become a stronger, more creative writer, blogger, and business owner. You have it in you. That urge to tell stories. To inspire your readers to action. It’s why I’m here. I’m on a mission to help solopreneurs like you infuse your marketing with all the best things. Things like: Creativity, Curiosity, and Connection. Did you know that (in addition to being a fabulous marketing tool), blogging is one of the best ways for you to get clear about any topic? It’s true. You come to the page thinking you want to say something wise and beautiful about XYZ. And when you’re done writing, you see you actually believe something even better, deeper, more meaningful. I’d like the chance to show you that. 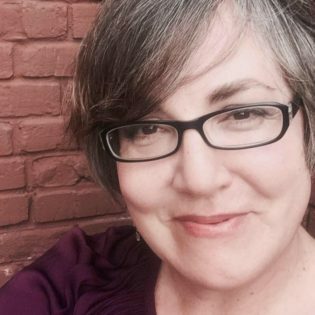 As an award-winning nonfiction writer, published author, and seasoned blogger, I’ve written and published over a thousand blog posts and articles. Some of them for top sites like Copyblogger, Problogger, and MarketingProfs. If that sounds like something you need, this live workshop series is perfect for you. And after measuring the progress of nearly six dozen participants over ten sessions, the increase in overall confidence and writing ability (as measured by the participants themselves) was an average of 25 to 30%. Here’s a professional writers’ secret: Participation in a writers’ circle (where work is reviewed by a group and feedback is shared) is the fastest way to improve both the work AND your writing skills. When was the last time you gave yourself advice on how to write a better headline or tweak your copy? That’s right, never. Because it’s nearly impossible. And it has nothing to do with how smart you are or how much blogging advice you’ve already read. The reason it’s slow-going is because you’re too close to it. That’s why I put this program together. Nearly two years ago, I invited a small group of biz bloggers to join me in testing the idea of group feedback. Since then, we’ve held ten additional rounds — each time, honing the process each time to give you the most effective experience possible. Tea’s gift is extracting a polished version of your own voice from you! 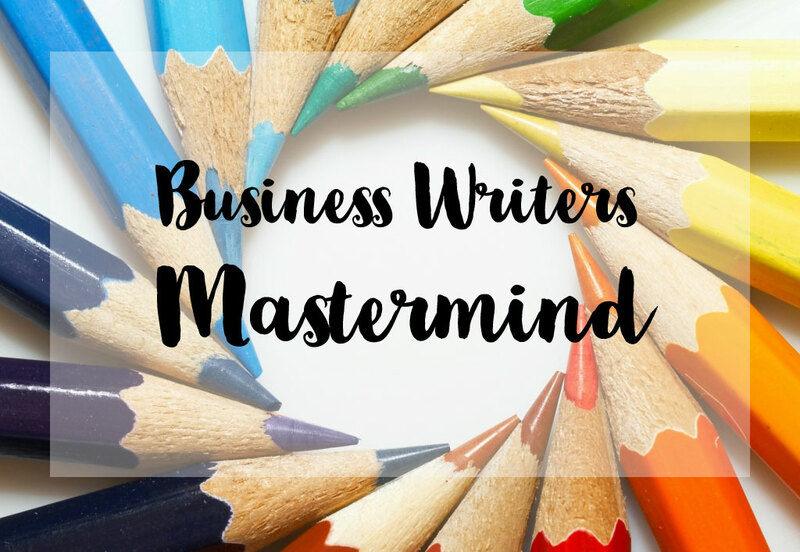 I recommend her blogging mastermind class to everyone. Cutting-edge information, fascinating people/community, excellent writing and everyone improved. If you’re scared to start blogging, or even if you think you’re great where you are, from beginner to pro it’s well worth the investment. I loved the rhythm of the program, the accountability it afforded, and Téa’s feedback. It was very well run with great content and opportunities for all members to develop their skills. This is a program that can get you out of your comfort zone and moving in the right direction. If blogging is your thing, then this is your program. A full 100% of participants said they’d recommend this program to others without hesitation. And many participants re-enroll each time we do this. Six 90-minute learning-support-feedback sessions. We’ll meet every other week for 12 weeks which gives you plenty of time to integrate what you’re learning and build confidence in your skills. Focused attention on your writing. You’ll receive feedback from up to eight different people on your drafts each time we meet. In that process, you’ll learn how to brainstorm creative ways to improve your posts and create more engaging and clickable headlines. In short, you’ll end up with six, much-improved pieces of writing that you can be proud to publish on your blog or as a guest blogger on another site. Support and accountability to stay on track with your goals. Our group is small and intimate — no more than eight people — so you have plenty of opportunity to get to know folks on a deeper level. The relationships you’ll develop here will last far beyond our Fall session and will help you keep your promises about finishing and publishing your work. You’ll feel better about yourself because you’re following through and publishing more often. Professional coaching and mentoring from an experienced blogger and published author (me!). You’ll learn which writing rules matter and which ones to ignore. You’ll get pushed (gently) out of your comfort zone. And you’ll have the ability to get EVERY question you have about blogging answered. You’ll go from feeling confused and overwhelmed to clear and confident. In between meetings, you’ll work on your drafts, brainstorm via our private Facebook hangout, and share published posts with the group (for commenting and sharing purposes). You’ll receive a Welcome Package with writing tips and ideas to get you ready to rock and roll for your very first meeting. The size of the groups will be small: just 8 people each so I can be sure to help each of you properly. You have the option of adding a line-by-line proofreading and suggested edits to each post you submit for group review (you submit these to me via email once you’ve incorporated the group’s feedback). See the Plus Option below. You get NINE full hours of hands-on critique, brainstorming and more. NOTE: If something happens and you need to cancel up to 24 hours before we begin, I’ll be more than happy to give you a full refund. Once we start however, your registration fee is non-refundable. Tea’s Blogging Mastermind course gave me such a huge push to the confidence I needed to start putting content on my blog that mattered and was of interest to my audience. She taught me how to craft a STORY no matter the subject to make posts instantly relatable and practical for my readers. The course gave me the basic building blocks for a solid post — enough so that I can take my blog to the next level and really leverage it as a resource for promoting my business and helping my customers. with blogging and knowing that what I had to say was worth reading. Because of Tea’s reputation as a trusted advisor and good storyteller, I knew I would learn a lot (and I was right!). I liked the format of the class, getting to know everyone, sharing — getting and giving feedback. Tea’s thoughtful and thorough, gentle and generous feedback really made a difference. There are just EIGHT seats available in each group. Our Tuesday group is FULL. Our Wednesday group has THREE seats available. And our Friday group has TWO seats available. Line-by-line suggested edits of up to SIX of your blog posts (you revise your first draft after our meeting, send it to Tea, she gives it a thorough once-over). If you’d like to be put on the waiting list, please email me at tea@storybistro.com. Tea’s a wonderful and creative storyteller. Her writing style’s engaging, unique and to the point. I learned so many tips and tricks to keep my ideal reader interested while also staying on track with my overall objective of each piece. I love this group and would recommend it for anyone who’s got a fear or hesitation of blogging! I feel a lot more confident in the story telling part of my writing and tying it together into a cohesive post. The best parts of this program were the writing practice — getting into the habit of doing it; the group dynamics and the accountability; and of course the edits from Tea! I’ve recommended this course to others several times already. I missed my chance to enroll this time around, when will you be holding the next session? Spring of 2017. Dates are yet to be determined, but we’ll likely start mid-March or April. If you’d like to be added to the waiting list, please email me. I’m just starting out as a blogger, is this a good program for me? If you’ve already been writing (maybe not blogging, but writing) on a regular basis and would consider yourself someone who doesn’t usually struggle to write things like a business letter or something a bit longer than an email, than this group will probably be great for you. What we’re looking for is folks who’ve already built their website/blog and are familiar with how to publish new content. This is NOT a Blogging 101 course. You can find that here. I’m not sure I have enough time for this. How many hours per week will I need to do this work? In addition to our bi-weekly meetings (which are 90 minutes long), you’ll also need to set aside time each week to both write your blog post and read through up to seven others. Depending on how long it takes you to plan, research and write a blog post (most folks require at least 3-5 hours) your time requirements will vary. Reading through the other’s blog posts usually won’t take more than five minutes each. Ideally, if you set aside 30 minutes each day (or group that time into one lump sum), you’ll be just fine. I’ve never used Zoom before. What will I need in terms of equipment and technology? Have a trial run ahead of time. I’m happy to help you with this if you need one. Just give a shout out once you’re registered and we’ll gather all the newbies for a quick test-run. The timing of these meetings doesn’t really work for me. Do you have any other options? Yes! Check out my private Content Coaching — you can start and stop whenever it’s convenient for you.